Wilfred Owen (1883-1918) Famous British war poet, killed in action November 1918, just before the end of the First World War. 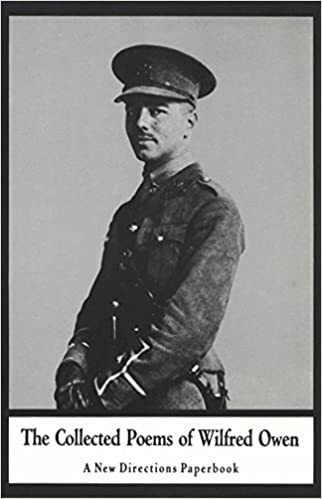 Wilfred Owen was born on 18th March 1893 in Oswestry, Shropshire of mixed English and Welsh ancestry. He studied at Birkenhead Institute and narrowly failed to gain a scholarship to the University of London. In 1913, he went to Bordeaux, France where he worked as a teacher of languages. In October 1915, he returned to England to enlist in the army. By June 1916, he was commissioned as a second lieutenant in the Manchester Regiment. Like many people of the time, he was influenced by the patriotic fervour and confidence of the war effort; he had a cheerful and optimistic view of the war. However, on entering into frontline action, he was shocked by the scale of devastation and terror the fighting men faced. His poetry was a reaction to the scale of slaughter that he witnessed. It was in this hospital that Owen met and became friendly with another war poet, Siegfried Sassoon. They shared a love of poetry and held a common view of the tragedy of trench warfare. Sassoon was to play a key role in developing Owen as a war poet and also helping to publicise his work. Owen’s poetry became symbolic of the futility of the First World War; Owen was also scathing of the patriotic sheen which sought to glorify war. In 1918, against the wishes of S. Sassoon, Owen returned to the front line and took part in the final Allied push of the war. In October 1918, he led men in storming enemy strongholds in the village of Joncourt. For his bravery in action, he was awarded the Military Cross. Owen had wanted to receive this honour, not for personal gain, but to help give greater credence to his role as a realistic war poet. The citation on the award read. Owen began writing poetry before the war; he was influenced by romantic poets such as John Keats and Shelley. However, it was during the war that he really found his voice and purpose as a poet. In many ways, he was considered the best war poet of his generation for his gritty realism and the poignant contrast between idealism and reality. His best-known poems such as “Anthem for Doomed Youth”, “Futility”, “Dulce Et Decorum Est”, ” The Parable of the Old Men and the Young” and “Strange Meeting”. have become symbols of the tragedy and futility of the First World War. Citation: Pettinger, Tejvan. 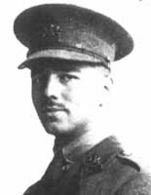 “Biography of Wilfred Owen”, Oxford, www.biographyonline.net, 14th July 2014. Last updated 9 December 2017.